Bill Bennett founded the company in 1969, when he left the family farm and contracting business. 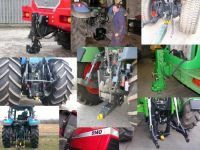 The new one-man business operated from rented farm buildings and carried out repairs and servicing on tractors and farm machinery. 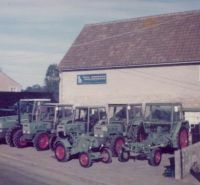 The company steadily grew and in 1973 became the first and sole importer of Fendt tractors for the UK. 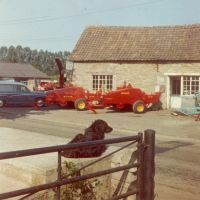 The brand was marketed as a quality product and everything associated with the tractor needed to be of the same standard. This included attachments and despite trying all available pick-up hitches on the market nothing could be found of sufficient quality. The only option left was to design and build a hitch internally. Bennett Engineering products are designed and built with quality as the dominant trait. Pride in all produced is reflected in a reputation across the market, ISO9001 certification further underlines these policies. The company now supplies many of the major manufacturers including John Deere, JCB, and Fendt as well as many of the importers of other brands such as Kubota, Same Deutz-Fahr, Merlo, Manitou, New Holland and Case.